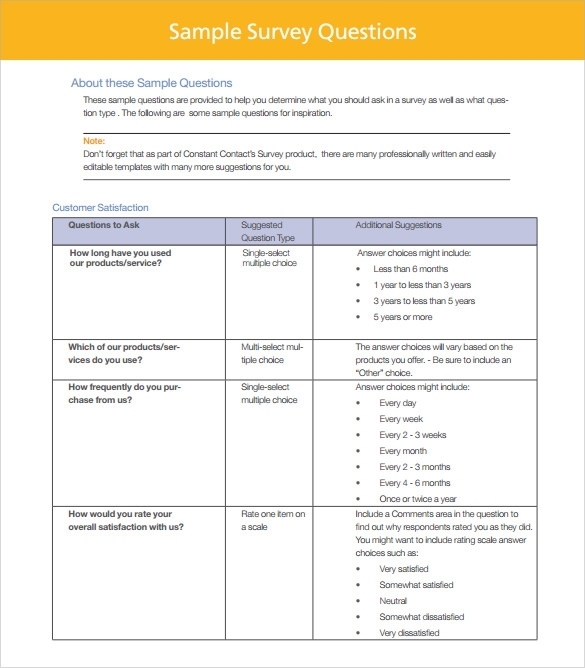 When customers want to rate the goods and service of a store, customer survey template will give them the freedom to give a grade of their products based on their Customer Satisfaction Templates and practicality so the store will know what is wrong or enhancement it needs to be more useful and convenient. This assessment tool will assure for business owners that they are doing the right thing when it comes to their customer’s satisfaction. 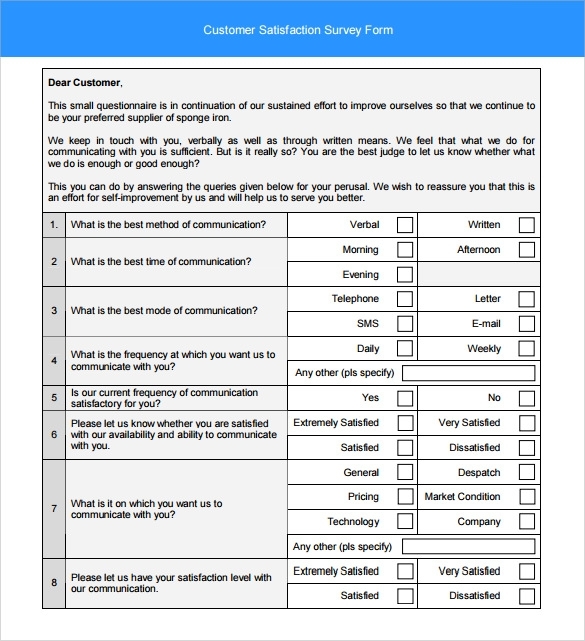 Example template can now be yours by downloading the samples online so you can have the appraisal form for your business. 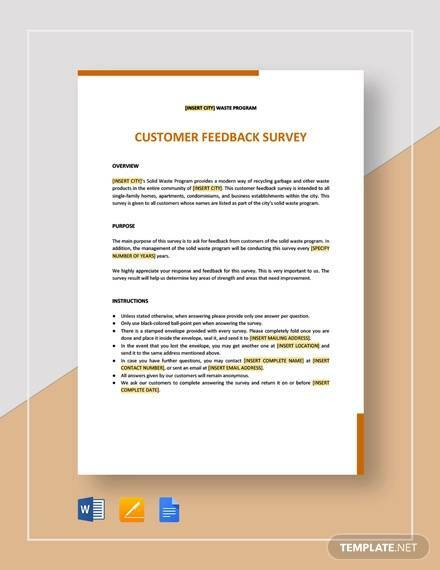 This customer survey template can be the basis for formulating the survey tool for a particular business for it to thrive and become successful. This is a good option if you are thinking about creating your own survey. It tells you the questions that you should be asking and the suggested method for questioning along with some additional suggestions. It is great for creating your own without having to put too much effort into it. This is a PDF format that you can give to your customers in various businesses. It asks them about their role in the company along with what devices they use, including a desktop computer, laptop, mobile phones for texting, smart-phone and tablet. This is a great option that you can customize for your customers. You can ask them various questions and have them strongly disagree, disagree, neutral, agree or strongly agree. You can then have them give their opinions regarding the quality of the representatives, manager and much more. If you are looking for one that the customer can fill in with their suggestions that is easy to use, then this is perfect. You can have them give their rating on responsiveness, professionalism, technical support and much more using the number rating system and a space for comments. 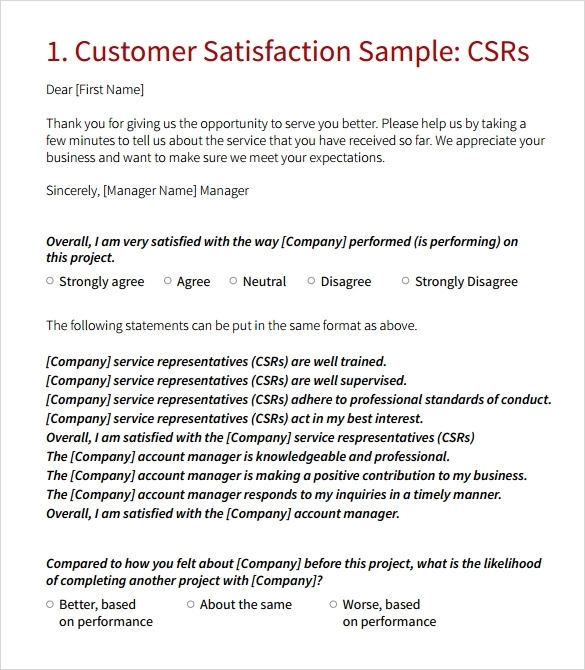 What Are The Reasons To Use A Sample Customer Survey? 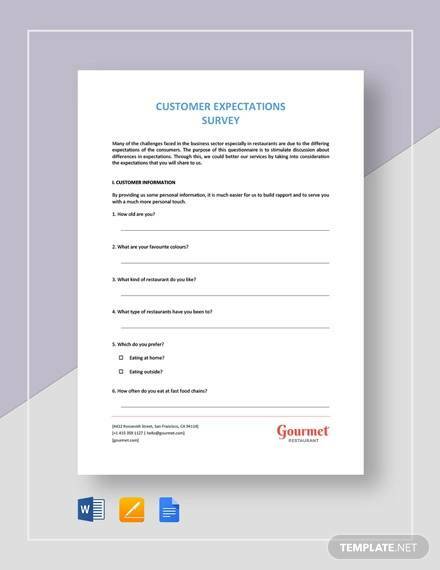 There are plenty of great reasons that would see you using a customer survey. The most important one would be to see what experiences the customers are having and if they are happy with the service that you are providing. 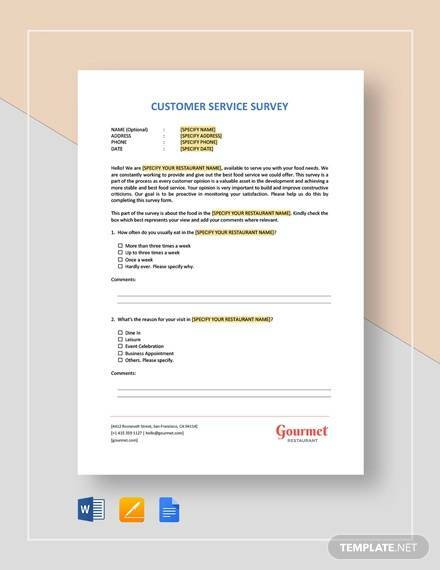 You can give them a simple survey on various aspects of the service, including the customer service, the time it took and even if they would recommend the company to friends and family.You can also see Blank Survey Templates. 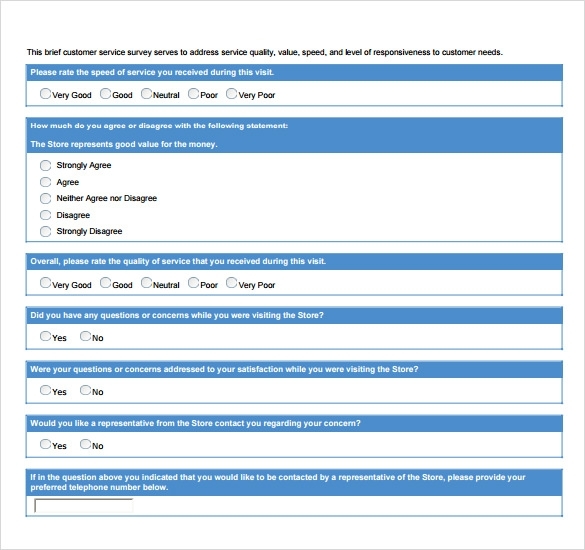 When To Use A Sample Customer Survey? 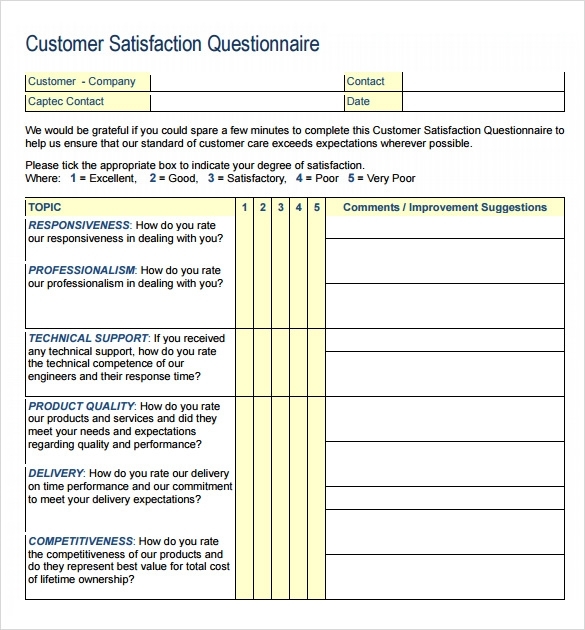 You can use a customer survey whenever you want and most companies do it on a regular basis. These can be handed out to the customers after they deal with some complex or even simple services that you provide. They can ask various types of questions, including if they were satisfied with the service, whether or not they would come back and if they would tell their family and friends about the company. This is a good way to find out if your customers are happy or not. If you want to know if your customers are happy with the service or if they think that something should be changed, then you can use one of these. It is one of the best ways to get anonymous or non-anonymous information from them without them having to give you the answers directly. This will allow you to figure out if the customers are satisfied with the service that you are providing or if you need to change some things to make them happier. 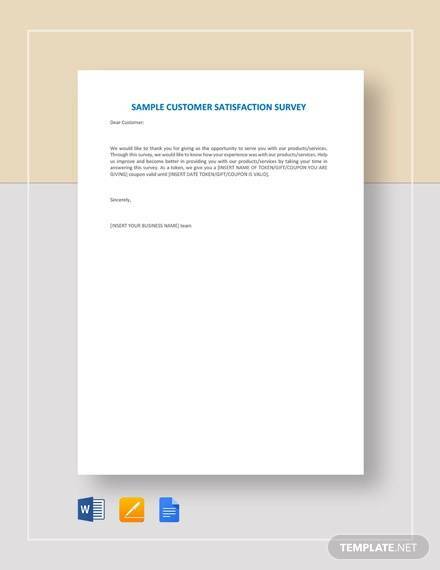 Surveys are an extremely useful tool that you can use to extract details and information from the customer. 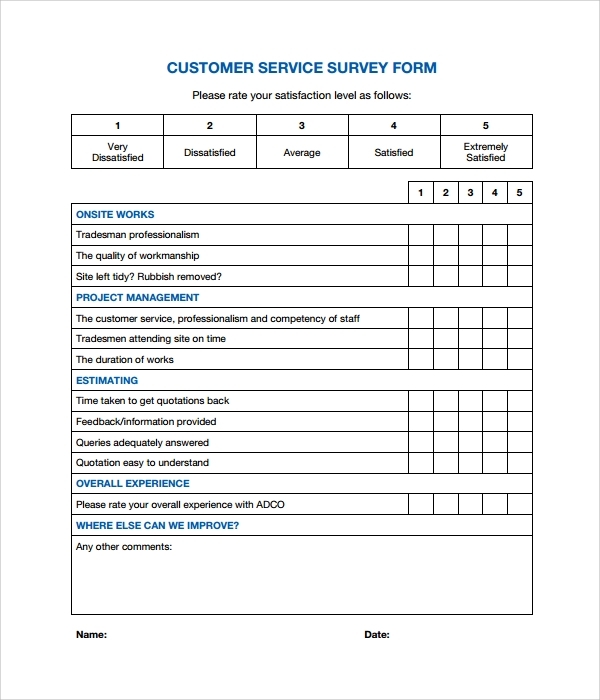 Not only can you get their contact details for later use, but you can also get their feedback on the service that you are giving, which can help you to improve, should you require it.You can also see Feedback Servey Templates.